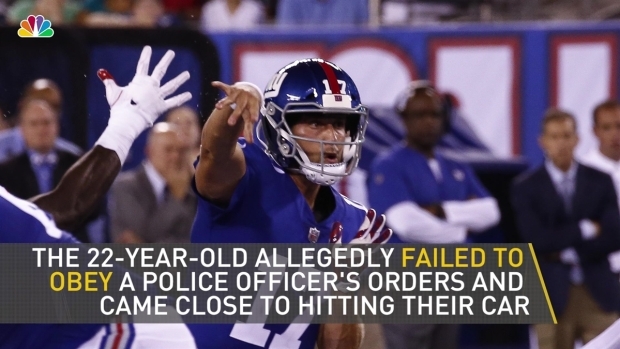 Giants head coach Pat Shurmur said the team was made aware of the situation and found it "obviously disappointing"
Giants backup quarterback Kyle Lauletta was arrested Tuesday morning while driving to the team's practice facility in East Rutherford. Brian Thompson reports. 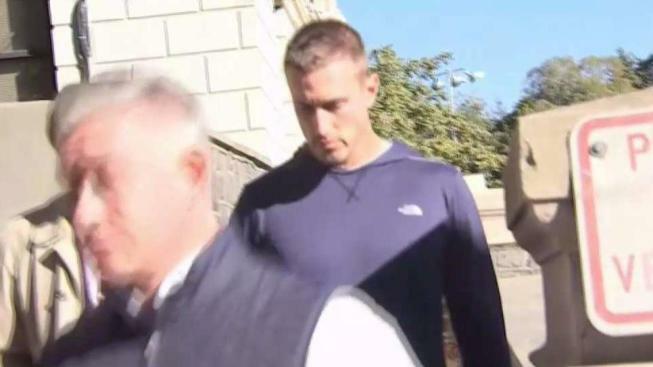 New York Giants backup quarterback Kyle Lauletta was arrested Tuesday morning and charged with resisting arrest, reckless driving and eluding police — among numerous other charges. The rookie was arrested in Weehawken around 8 a.m. as he was driving to the team's practice facility in East Rutherford, law enforcement sources said. Lauletta was apprehended "for various motor vehicle and related disorderly persons offenses" after officers saw him driving his 2017 Jaguar in a dangerous manner in heavy traffic near the Pleasant Avenue approach to Route 495, the Weehawken Police Department says. Police say the 23-year-old failed to obey a police officer's directions, attempted to evade him, Made an illegal turn and continued towards Route 495, almost striking the officer. Sources say the player almost hit an officer's car. Lauletta was stopped by a second officer and, once again, refused to obey orders to produce driving credentials and exit the vehicle, police say. Lauletta was charged with eluding police, obstructing administration of law, resisting arrest, reckless driving, disregarding an officer's directions, improper turn in marked traffic lane and failure to remain in a marked lane. The eluding police charge is a felony. If Lauletta is found guilty on that count alone he faces two to five years in prison. Neither he nor his attorney commented on the arrest Tuesday afternoon. Police say that upon further investigation it was revealed that a 2017 Jaguar registered to the Giants rookie was involved in a similar incident at the same location Monday. Summonses were issued via mail in that case since the vehicle did not stop at the scene, police say. The arrest location is the only direct access to westbound Route 495 due to ongoing roadwork, which has caused severe traffic congestion at the intersection during rush hour. When leaving the police station Tuesday afternoon, Lauletta and his attorney did not provide any comment. Giants head coach Pat Shurmur said the team was made aware of the situation Tuesday morning and has been in contact with Lauletta. "We are still in the process of gathering information," Shurmur said in a statement. "This is obviously very disappointing." Lauletta had been rumored to start for the Giants as early as this week over a struggling Eli Manning, who has thrown six interceptions and fumbled twice (to eight touchdowns) in Big Blue's abysmal 1-7 start to the season. Born in Pennsylvania, Lauletta played his college career at Richmond and threw for a school-record 10,465 yards and 73 touchdowns. He was drafted in the fourth round of the 2018 NFL Draft.